Do you have an interest in aviation? This Saturday we are very excited to be a part of AirFest at BLI! At AirFest you’ll have a chance to get up close and take pictures of historic and specialized aircraft that will be on display. There will be demonstrations, local flying clubs and pilots, kids activities, raffle prizes, and food vendors. 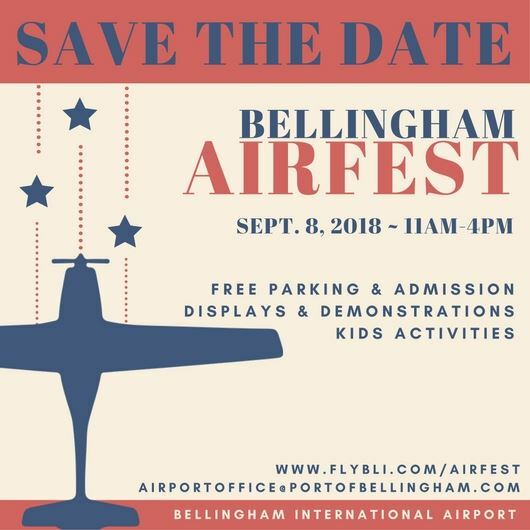 For the kids, there will be face painting, a bouncy house, and aviation-themed arts and crafts. We’re very happy that our San Juan Airlines office will be an entry point where we’ll have snacks, music, planes, discounted scenic tours, and chances to win prizes. Our discounted scenic tours will be $85 instead of $99, and will depart at 11:30am, 12:30pm, 1:30pm, 2:30pm, and 3:30pm. Make your reservation ahead of time or book at the event! What does the event cost? Nothing! Admission and parking are both free. Come by for some fun for the whole family!